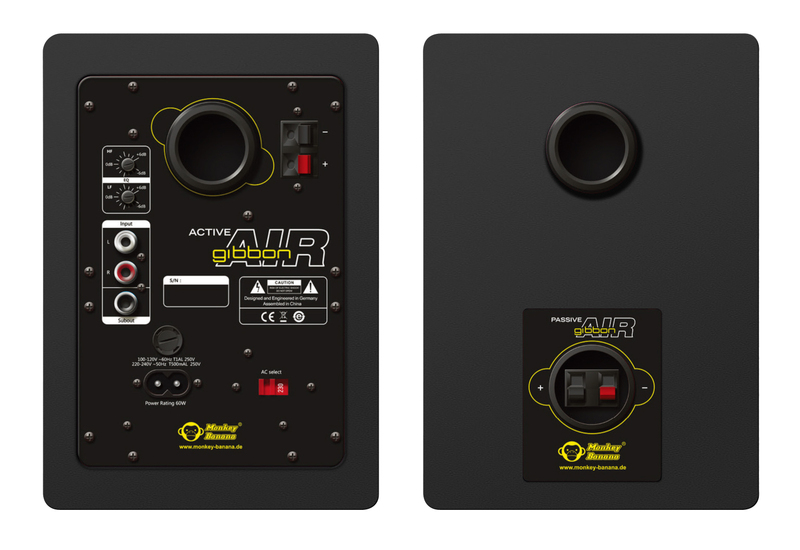 The 4" Gibbon Air active monitor series by Monkey Banana are the ideal solution for home studios and audio set ups where available space is at a premium. With Bluetooth connectivity, the Gibbon Air 4" speakers are both compact and convenient. 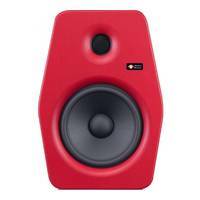 The 4" Gibbon Air active monitor series by Monkey Banana are the ideal solution for home studios and audio set ups where available space is at a premium. 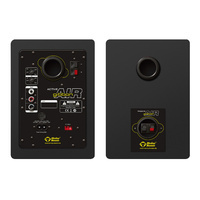 With Bluetooth connectivity, Gibbon Air 4" speakers dispense the need for multiple cable runs whilst ensuring reproduction of a tight low end, and clear highs and mids in a format that is both compact and convenient. 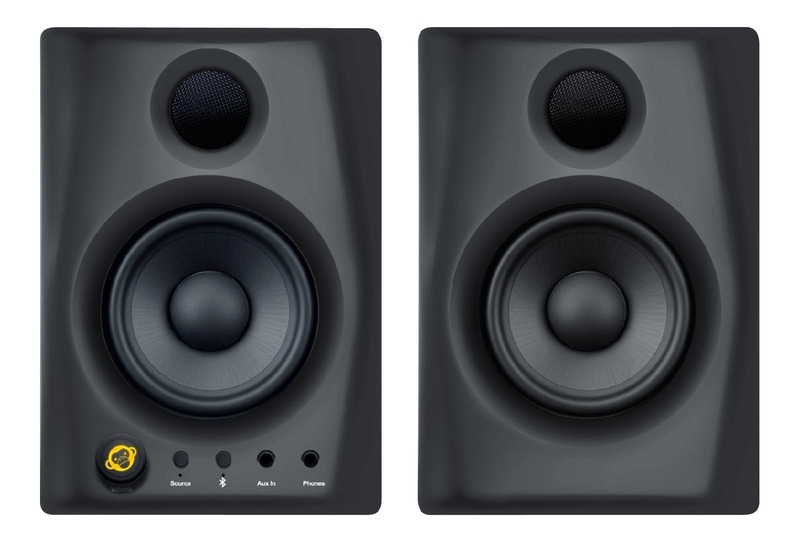 With an efficient bi-amped design and unique technology that sees the crossover set at an impressive 3kHz, the Gibbon series monitors can reproduce audio over a wide frequency range. 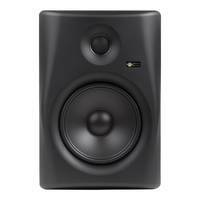 Designed to work in a small space, they excel as a nearfield monitor and are perfect for those that produce their own electronic music, or mix tracks that rely on bottom end and vocal clarity. Another cool thing about the Gibbon Series Monitors is how they can be used in different configurations. 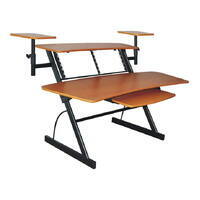 When short on space, the Gibbon 4" models operate well with their extended but tight bottom end. However, adding a sub will maximise efficiency whilst adding even more bottom end for those hip hop and dance mixes. For the real sound aficionado, then try them in a true 5.1 surround sound configuration, perfect for obtaining the cinematic effects for mixing soundtracks and media based audio. 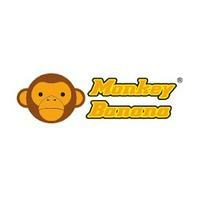 Monkey Banana was formed in Germany in 2004 with a goal of creating audio products with exceptional design and engineering quality at a competitive price. 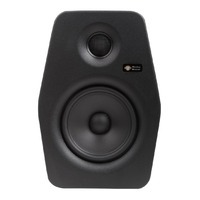 After years of testing, design research and perfecting manufacturing techniques, their first studio monitors were released to the public in 2010. 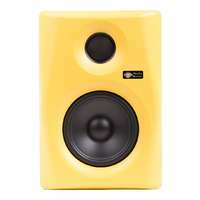 Monkey Banana's audio products have generated a lot of passionate interest and are used by professional producers, DJs, musicians and studios around the world. HF Level: -6dB - +6dB variable at 100hz. LF Level: -6dB - +6dB variable at 100hz. 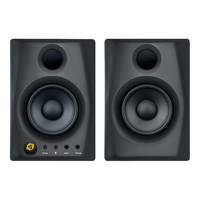 I use these as a second pair of speakers in my studio, for mix/master comparison, great during editing audio or video multimedia production etc. The Bluetooth audio connection is very handy and works well. 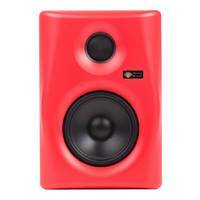 I did not have much hope on the frequency response of these speakers, but boy I was surprised! They do sound great! Nice clear top end and good low end, though not heart pumping feel when listening to EDM or House, as it goes down to 60Hz. But for general pop music, it sounds way better then expected from a 4" speaker.